The most powerful iPad Pro line-up ever. It can replace the laptops for a lot of people. Period. The Apple iPad line-up has evolved considerably since the first iPad rolled out in 2010. Nothing has signified that better than the iPad Pro line-up, as this genre of devices changed positioning from convenient content consumption devices to powerful laptop replacement computing devices. That journey leads us to the latest evolution of the 2018 edition of the iPad Pro line-up, more specifically the iPad Pro 12.9 variant. 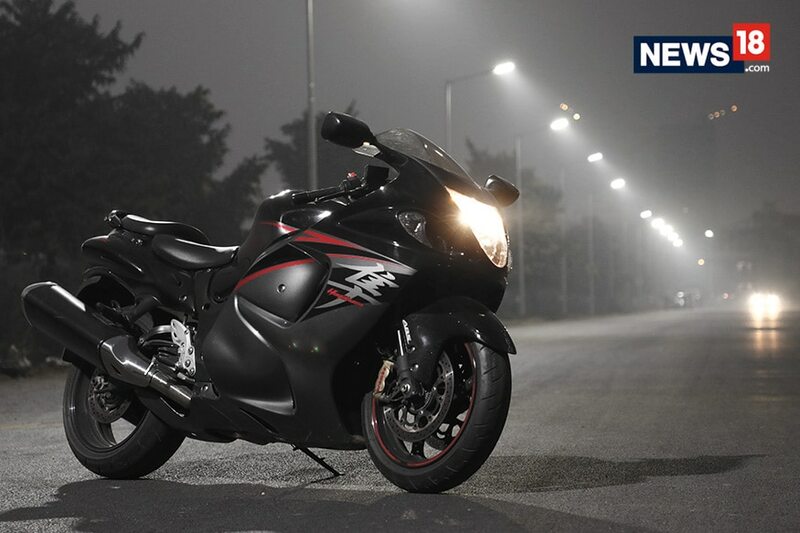 This is now in its third generation, and is a significant evolution over the predecessors, which were very powerful in their own right. The iPad Pro isn’t to be confused with the iPad, because there is significant difference in power, performance and the overall positioning of both series of iPads. The iPad Pro’s biggest accomplishments this time around are all about what it doesn’t have. There is no home button below the display. That has been enabled by the gesture-based controls which iOS 12 brought along with it. While the iPhone X ushered that era for the phone line-up last year, the iPads had to wait a bit longer. 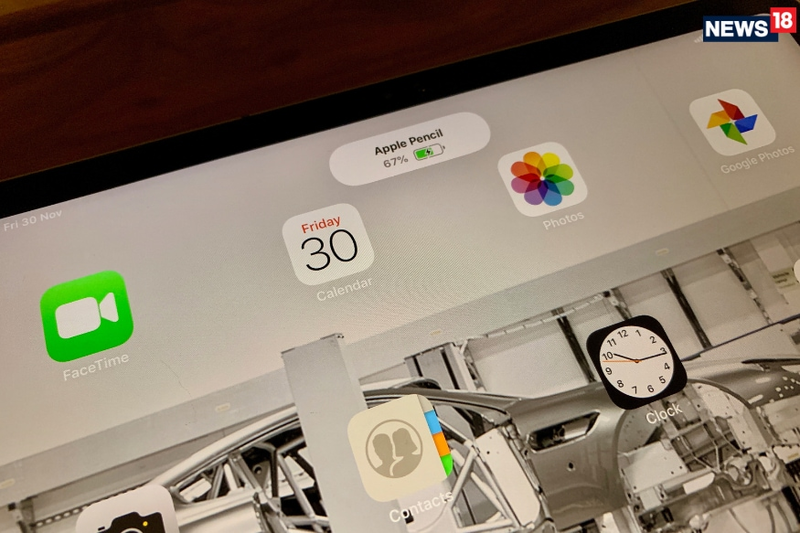 That means, the form factor can be kept more in check, and yet have slightly larger displays (this is specifically true for the 11-inch iPad Pro which has the same footprint as the 10.5-inch iPad Pro it replaces). Then, there is no notch cut-out in the display either—many expected it, in line with the iPhones, but happily enough, it isn’t there. In many ways, the design is quite reminiscent of the iPhone 5s, thanks to the flat side spines. Honestly, this new design and form factor makes perfect sense for the iPad Pro, as it distinguishes it well from the plain iPad. A lot has been shaved off from the iPad Pro 12.9 too, and at 5.9mm thickness, this is the thinnest iPad Pro ever. Remember though that the previous iPads had slightly curved sides which gave the illusion they were thinner. There always used to be a lingering feeling with the older iPad Pro 12.9 that it was perhaps a tad too large for some usage scenarios, but full credit to the designers at Apple who have managed to make a genuinely large tablet feel more compact this time around. The trade-off of all this slimming down is that the camera bump on the back is now more pronounced than on the previous iPad Pros. In essence, this is the same camera module as the one used in the newest iPhone XR—which means this 12-megapixel camera can do 4K video and whatnot. However, the Portrait Mode is not available on the rear camera (it is only available on the front camera). If you intend to use this as a camera too from time to time, this update bodes well. The connectors for the Smart Keyboard are now on the back panel instead of on the side spines as before. Do notice that there is a very subtle change in the port that sits on the bottom spine. The Lightning Port, which has been a standard fixture in iPads for many years now, goes out and is instead replaced by the USB Type-C port. This means that connecting external devices becomes easier, as well as enables faster charging. In theory, you could even get a USB Type-C to Ethernet adapter to connect to a wired broadband line on the iPad for the first time ever. Or connect an external storage drive. Or another display. However, all third-party adapters don’t always work, and you’ll need to double check the iPad Pro compatibility before plonking the cash for adapters not made by Apple. 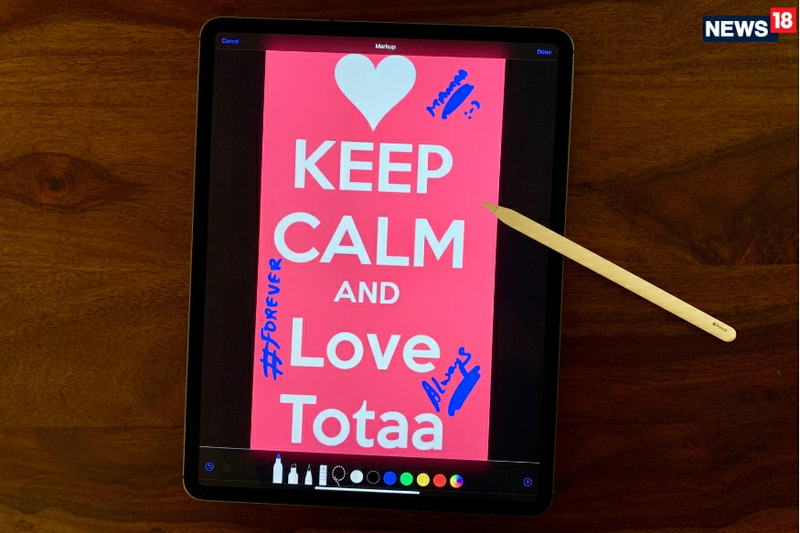 Even though the Apple Pencil has been an integral part of the entire iPad Pro experience always, the Pencil essentially physically remained detached from the iPad itself. This meant that you had to remember to carry it separately, and you could often misplace it too. The newest iPad Pro 12.9 (and indeed the iPad Pro 11) smartly add a magnetic latch on the side spine, and you can simply attach the Pencil to the iPad Pro. Unless you make it a point to knock it over, the magnet itself is quite powerful to hold it place on a stored iPad. However, it is a slightly different story if you are carrying the iPad along, and we noticed that slight nudges could motivate the Pencil into tumbling earthwards. Perhaps a slightly more powerful magnetic latch next time around will solve the problem. When you click the Pencil into place on the iPad, it also starts charging instantly. That is the magic of wireless charging that keeps the Pencil charged and ready for use when you need it—and no need to separately charge it too. The Pencil itself has been redesigned, and the chunkier design surely feels better to hold. It now has the double-tap capabilities, which lets you switch between functionality by simply tapping twice on the Pencil, in quick succession—you can customize this from app to app. The 12.9-inch Liquid Retina display retains the same 264ppi pixel density stats as the predecessor, but there are significant changes elsewhere. Look closely, and you’ll notice that the four edges of the display are now curved, which makes for a very immersive experience while watching movies and photos. Not that standard screens are inferior, but this just looks better. Then there is the Pro Motion 120Hz capability which automatically detects the app that is on the screen at the time and bumps up the screen refresh rate for smoother and clearer fast-moving visuals. This will be very relevant for gaming. That said, developers will need to enable this capability in their games for the display refresh rate to bump up automatically. At present, Assassins Creed Rebellion (Free with optional in-game purchases) is one game that really utilizes the Pro Motion feature to the fullest. Creative folks who might be editing videos and photos on the iPad Pro would perhaps most appreciate the support for the DCI-P3 colour standard—makes edits a lot more accurate. Realms have been written about the Apple A12 Bionic which powers the newest Apple iPhone XS, iPhone XS Max and iPhone XR. They are 7-nanometer chips, and the most powerful in the smartphone ecosystem. The silicon that powers the iPad Pro 12.9 and the iPad Pro 11 is an even more powerful of the same processor—it is called the A12X Bionic. Apple claims this runs 5 trillion operations per second and enables advanced machine learning. Straight off the bat, it pretty much leaves almost all laptops and convertible computing devices in its dust. You will need to wait for the Adobe Photoshop CC for the iPad or the Pixelmator Photo app which arrives later this year, to really experience the machine learning capabilities in photo editing tasks that most of us do on a regular basic. Either way, if you are buying this simply to work on some documents or watch Netflix, that would be gross utilization of its capabilities. It is not just the sheer processing horsepower, but also the fact that the graphics have been given a massive boost as well. You really need to fire up the newest F1 Mobile Racing (free with optional in-app purchases) game to see the positive impact of this much horsepower powering content for a screen as large as this. Shadows, graphics rendering, and the finer elements are reproduced in more detail than ever before. Safe to say that there is so much power under the hood of the new iPad Pro 12.9, that buying this now basically future-proofs your purchase for next 5 years with absolute ease. There really isn’t any scenario that we envision in terms of the apps you use, which would demand you buy another iPad before another 5 years. Even though you basically have a pocket supercomputer in your backpack, there are no compromises on the battery life. The iPad Pro 12.9 lasts a bit more than 12 hours of continuous video playback. For all intents and purposes, if you are going to use the iPad Pro at work for document work, editing photos and videos and media playback, the battery discharge will be significantly lesser. There is a lingering thought that the iPad Pro 12.9 is actually a tad too powerful, for most potential buyers. 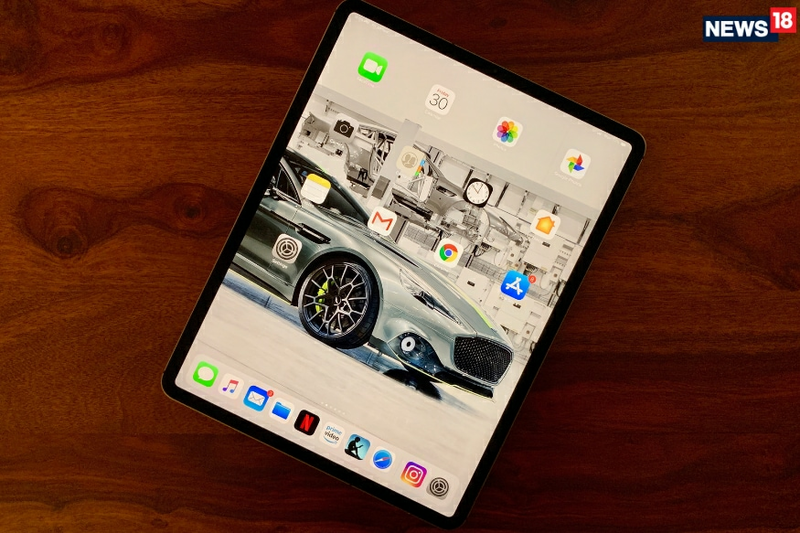 We never thought such a day would come—but it really is true, and Apple really has been generous with the grunt that has been packed inside the slim and compact form factor of the current iPad Pro line-up. 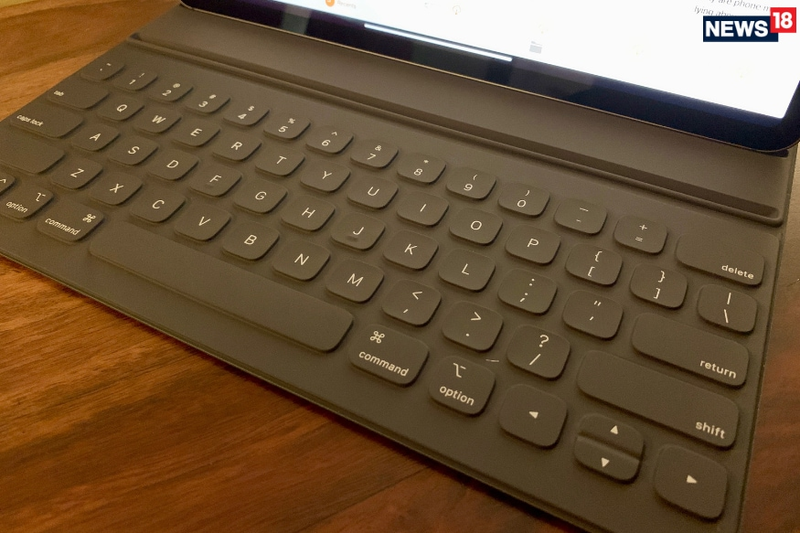 So much power under the hood puts the iPad Pro in a slightly complex competition with its own family member, the MacBook Pro—considering the price of the iPad Pro with the Smart Keyboard and the Pencil totals up to around as much. That brings us to the second point. Even though the iPad Pro is now positioned as a full-fledged laptop replacement, there are fine differences between iOS running on the iPad and for instance the macOS running on MacBooks. If you intend to use this at work, you’ll need to make sure that the apps you use on your PC or Mac at the moment are available for the iPad as well. This is not exactly a commentary on the iPad Pro’s prowess, but this thought is borne more out of expectation that iOS for the iPad Pro should perhaps have some exclusivity that distinguishes it from the other iPads. The thing is, the iPad Pro 12.9 doesn’t come without a significant price tag. But for all the power and technical prowess it packs in, prices had to head skywards. Prices start at Rs89,900 (64GB; Wi-Fi). The other variants you can choose from cost Rs1,03,900 (256GB; Wi-Fi), Rs1,03,900 (64GB; Wi-Fi + Cellular), Rs1,17,900 (256GB; Wi-Fi + Cellular), Rs1,21,900 (512GB; Wi-Fi), Rs1,35,900 (512GB; Wi-Fi + Cellular), Rs1,57,900 (1TB; Wi-Fi), Rs1,71,900 (1TB; Wi-Fi + Cellular). It sure costs a lot of money, and chances are, you will sit and wonder if you should consider the MacBook Pro instead. However, both devices are very different beasts—the MacBook Pro is a out and out laptop with macOS, while the iPad is significantly more versatile, and now not inferior in terms of power either. Nothing takes away from the fact that the newest iPad Pro 12.9 is the most advanced iPad ever. More power than you probably need, a design that is even better to look at, an immersive display, great battery life and the redesigned Pencil which attaches to the magnetic latch, the newest iPad Pro pretty much sets new benchmarks for the next line of iPad Pros to try and better, next year. Simply because no other Windows convertible comes close to this sort of performance, in such a compact footprint. Also Read | Apple iPhone XS Max Review: The Best iPhone, Ever. Period.